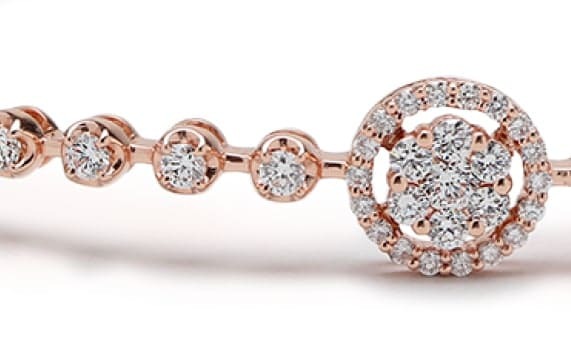 Dip into this deliciously feminine, fairy-tale collection. 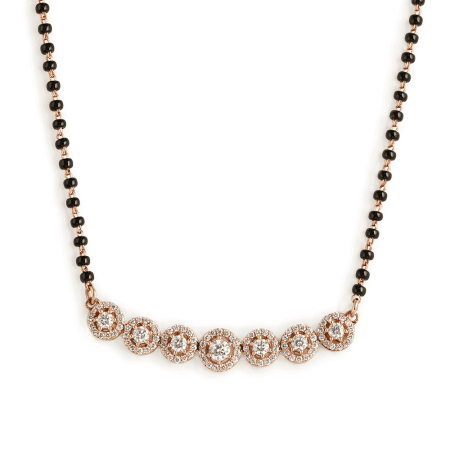 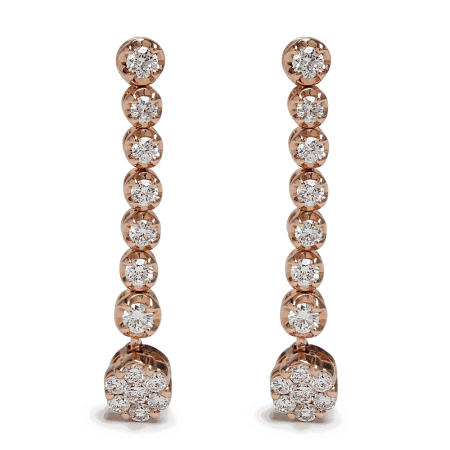 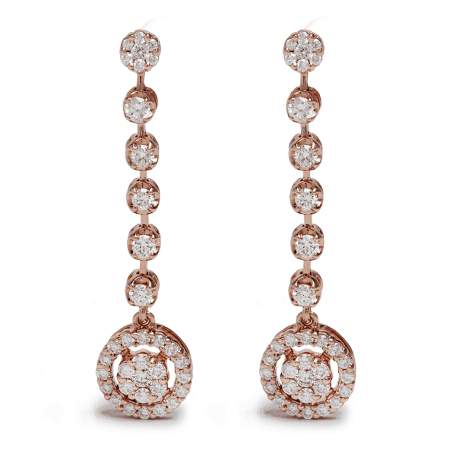 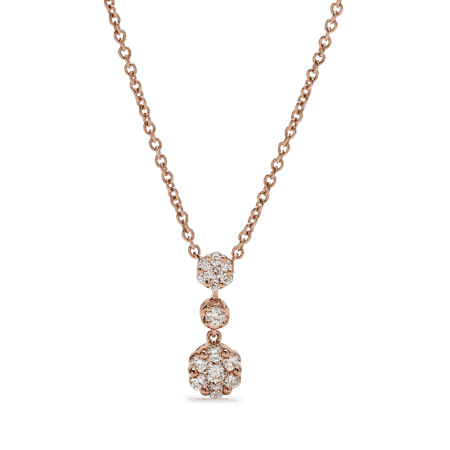 It combines rich, luxurious rose gold with diamonds in a delicate, floral setting. 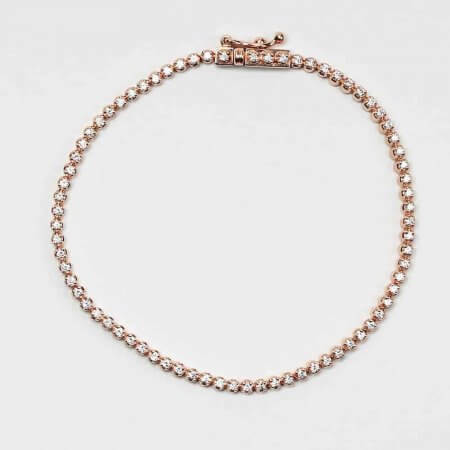 It’s an unexpected choice. 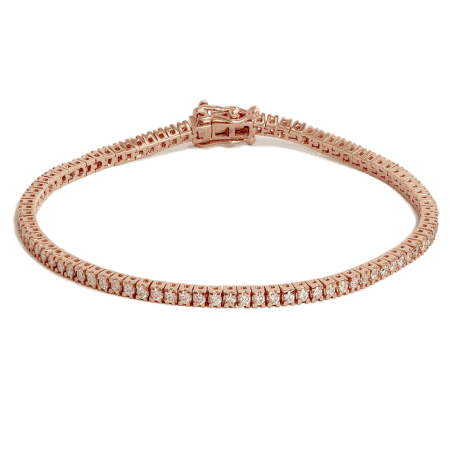 Distinctive and delightfully individual: rose gold is made by introducing copper to gold in order to create the pink-rose tint. 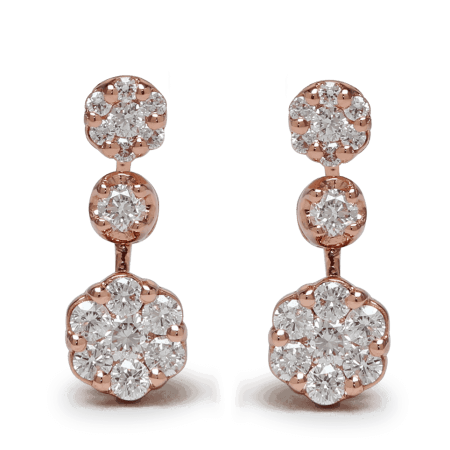 It produces warm, romantic tones that flatter the skin. 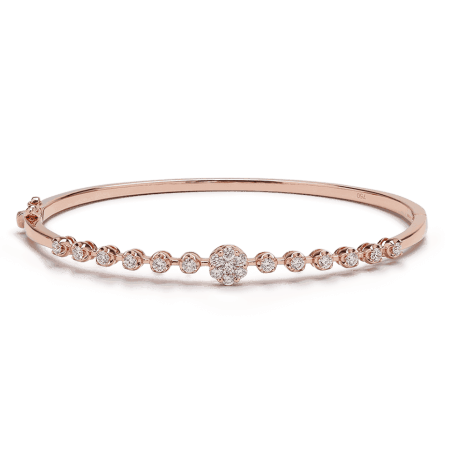 In this collection, our 18ct rose gold is beautifully complimented by the cool brilliance of diamonds. 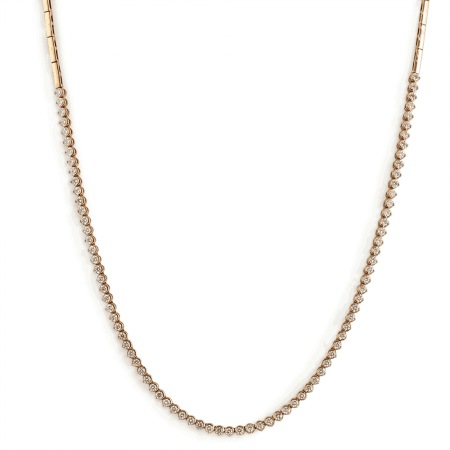 The look is contemporary and on-trend – for the stylish, modern woman. 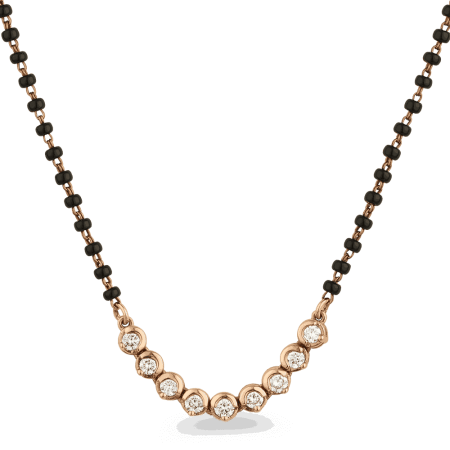 The Rose Gold Mangalsutra is a bridal pick that strays from the classic wedding colours, and is worn by brides who want a contemporary twist as well as historic authenticity on their big day. 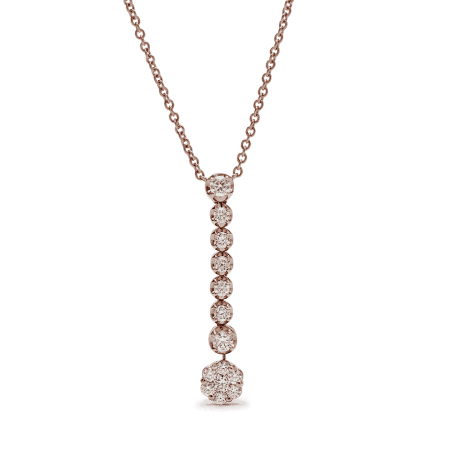 For weekend or evening wear, subtler choices include the dazzling Diamond Pendant with over a carat of diamonds (1.22ct) along three-quarters of the length, and a graceful blossom of diamond at the pinnacle. 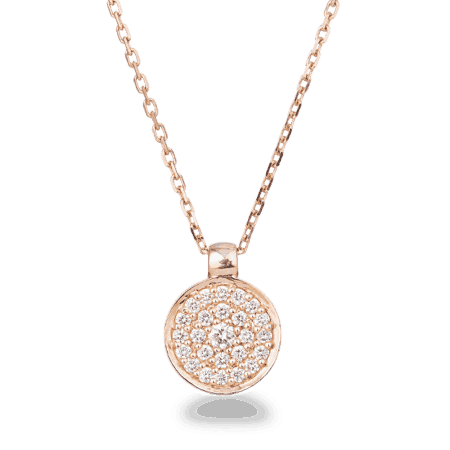 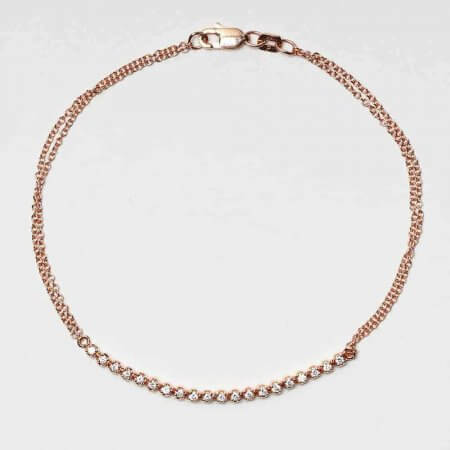 The simple chain of rose gold carrying a similar pendant could be worn on a daily basis, twinkling from beneath a blouse or coat lapel. 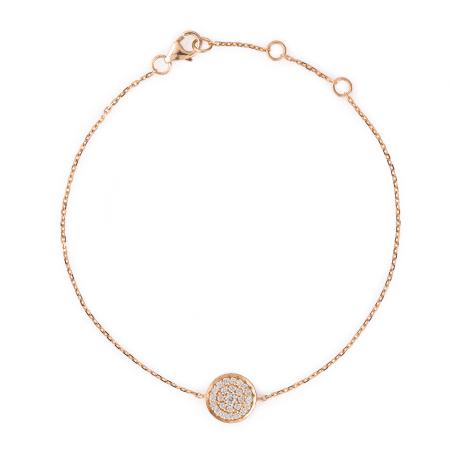 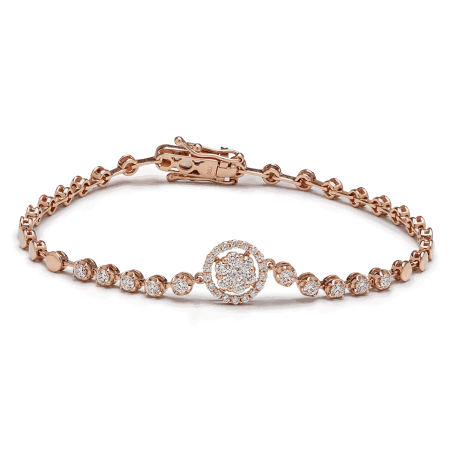 The collection includes several bangles and bracelets, which make wonderful gifts. 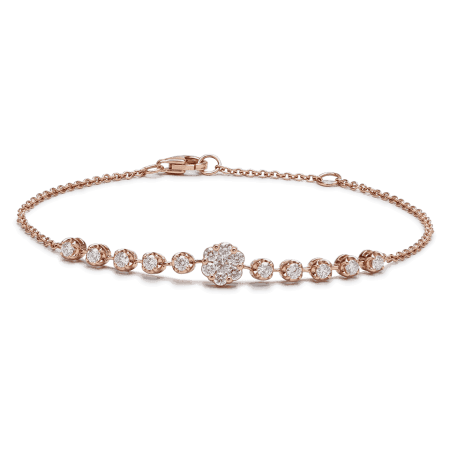 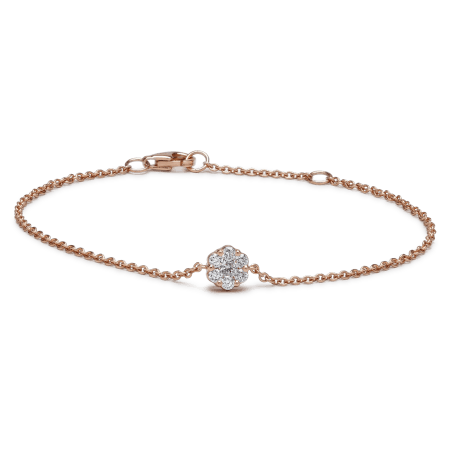 From an elegant chain of rose gold carrying a single blossom of diamond, to the celestial Diamond Circle bracelet, fully set with a thrilling 0.78ct of diamonds, all the way up to an extravagant, solid 22ct Rose Gold bangle with 0.72 of diamonds arranged in the centre. 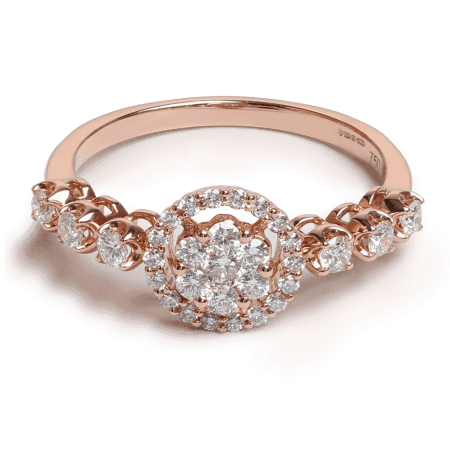 The rings in this collection are hugely glamorous. 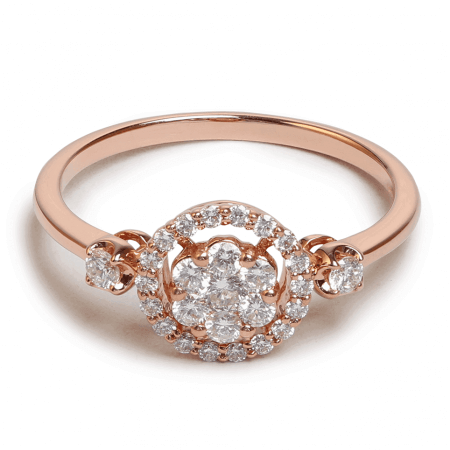 Lined with diamonds from shoulder to shoulder, this flamboyant sparkler makes an unusual and gorgeous engagement ring. 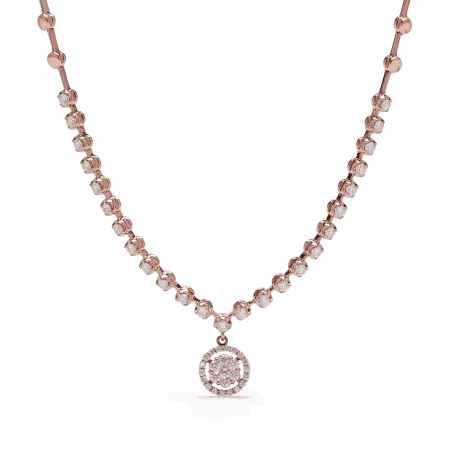 The collection’s trademark blossom of diamond rests in the centre. 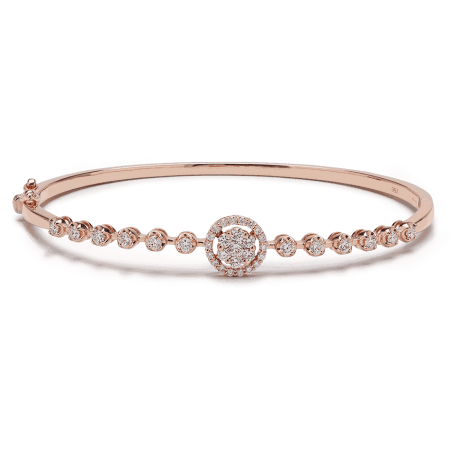 The rings in the collection feature an interesting stone setting, raising the diamonds up to let in lots of light and create that beautiful sparkle. 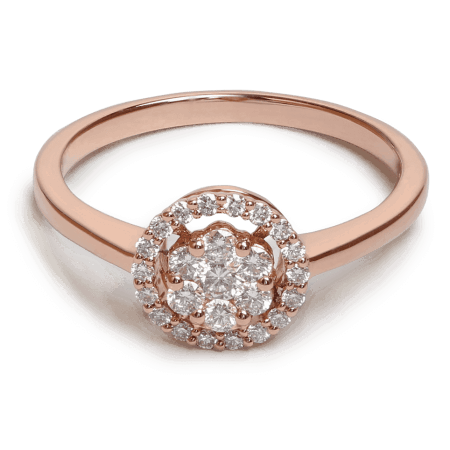 There are plenty suitable for casual weekend wear, like this with 0.40ct diamond arranged in a floral design.